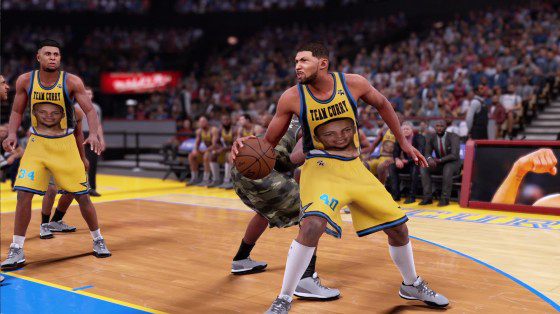 Visual Concepts' vice president Jeff Thomas answers several questions to give us more details about the new 2K Pro-Am mode in NBA 2K16. The trailer showed both an arena environment (10 players)as well as a Rec Center environment (40 players). Can you choose which settings to play in? How is that coordinated? 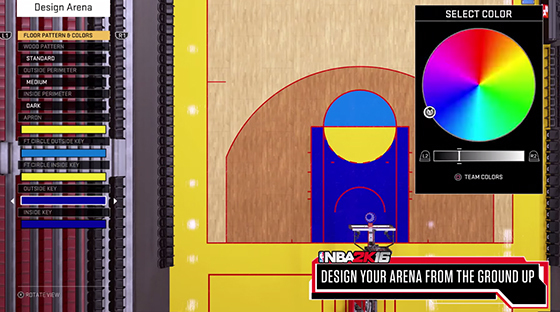 Can anyone on your Pro-Am team work on the colors and arena, or does the creator handle that? Can you assign people to assist? Can we be a part of multiple teams/squads? If I only have 3 users in my team for Pro-Am, can I still play and have computer players as the other two players on our team, or do you need to make sure you have your team of 5 players? 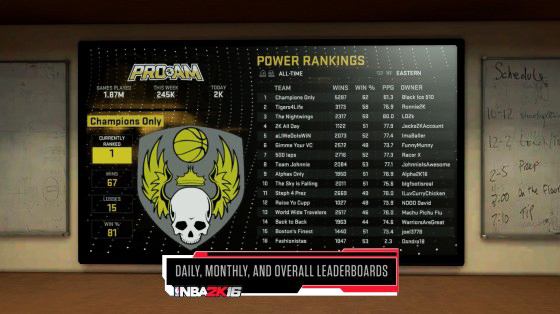 Will our MyPLAYERs have exclusive ratings and overalls to the Pro-Am that differ from MyPark? How do the leaderboard rankings work? Is it determined by win percentage, games played, record and/or region? Can you give us some more details on what the leaderboards track? If you decide to switch your crew, will you lose all your individual stats and will it affect your ranking on the leaderboard? Do you have to be in same Affiliation as everyone else to play together? Will teams be restricted by position? Example: Three 7-foot SFs and two centers? Or is it two guards, two forwards, one center? Will you have a website or app available to check your stats and other game results? NBA 2K16 will be available when the game launches on September 29, 2015 for PC, Xbox One, Xbox 360®, PlayStation®4 and PlayStation®3 computer entertainment systems.